Documenting the greed of Wall Street banking, and my personal quest for justice against those banksters. Oh boy, has Wells Fargo angered the masses. The bank's employees, we now know, opened as many as two million bank and credit card accounts on behalf of its customers, without their authorization. The scandal has the institution, and its CEO John Stumpf, in hot water with consumer groups, ambulance-chasing lawyers, prosecutors, regulators, politicians — especially politicians. After all, greedy banksters just might be the one group in America that's even more unpopular than Congress. And so, Wells Fargo's CEO has been dragged in front of various congressional committees to answer for his bank's sins. This looks like a classic scandal of financial greed ran amok, like all those post-2008 stories about banks selling ticking time bomb mortgages to unsuspecting borrowers, and then selling them to other banks that packaged those into ticking time bomb synthetic securities and then sold those to other banks until the entire financial system was like a powder keg. But there's something strange about this particular scandal. It's obvious why a greedy, unscrupulous banker would sell a bad financial product to an unsuspecting borrower. But why a bank would want to create fake customer accounts is less clear. After all, a fake account with no money in it doesn't do a bank much good. In fact, the bank's senior executives didn't want their employees to start these fake accounts. As The New York Timesreported, Wells Fargo even held a two-day ethics workshop in 2014 explicitly telling their employees not to do that. So what's going on? The problem here can't just be chalked up to finance run amok. It's a deeper problem, one that has to do with human nature. As Financial Times columnist John Gapper points out, Wells Fargo was known in the financial industry as the "king of cross-sell." Cross-selling is a straightforward-enough strategy: You have a customer who enjoys your product A. Why not also sell him your product B? That makes complete sense. Cross-selling is particularly lucrative in retail banking, because the most expensive part of the customer relationship is getting a client as a customer. So the idea of selling as many products as you can to your existing customers is particularly lucrative. And, again, there's nothing wrong with this in principle. It makes sense for the company, and the customer can always choose not to buy. At Wells Fargo, employees apparently had a target of selling eight products to each customer. Why eight? "The answer is, it rhymed with 'great,' Stumpfreportedly wrote in an annual report. "Perhaps our new cheer should be: 'Let's go again, for ten!'" This strategy created what The Wall Street Journal called a "high pressure sales culture" at Wells Fargo. Employees were given impossible sales quotas to reach, and berated or even fired for not meeting them. And so they cut corners. This is a parable for any business, even those that have nothing to do with finance. It's an extreme version of a very basic — perhaps the most fundamental — quandary of management: How do you measure, evaluate, reward, and punish employees? "Good work" can never be reduced to any one metric, or set of metrics. It always involves a series of choices and tradeoffs. If you give people impossible, or contradictory goals, then something will give. Salespeople will resort to fraud, or aggressive sales tactics that will hurt your brand ("Managers suggested to employees that they hunt for sales prospects at bus stops and retirement homes," reports The Wall Street Journal), or something else. If, let's say, a news website gives employees pageview targets, they will churn out clickbait trash. But if the website doesn't care at all about pageviews, it will go bankrupt. There is an example like this in every industry. And if the tactic gets too extreme, yes, people will either burn out or resort to fraud. Financial regulation cannot prevent this kind of scandal — forging signatures is already illegal. At the root of this problem is human nature: Mutually exclusive, high-pressure demands will cause people to break. How do you motivate people to not only check boxes, but actually do a good job? How do you motivate an employee to really take heart in their work, and give it their best? How do you inculcate a culture where the bank genuinely cares about the customer, with the belief that this will rebound to its long-term advantage? "Man is neither angel nor beast," the French thinker Blaise Pascal wrote, "but he who would turn him into angel will turn him into a beast." Humans have high aspirations, and at the same time they are greedy and weak and unprincipled. A year ago, the company announced plans to lay off 35,000 people shortly after announcing a $7 billion quarterly loss. In November, the bank agreed to pay a $258 million fine for violating US sanctions laws. In June, it failed a US regulatory “stress test” designed to predict whether it would survive a major economic downturn (more about this later). And now Deutsche Bank is facing a multibillion-dollar fine. Things have gotten so bad that people have started to worry about the bank’s solvency. Last week, Bloomberg reported that a few of the bank’s clients had curtailed their business with Deutsche Bank due to fears about its financial health. That led to chatter that the bank’s failure could trigger a broader 2008-style crisis. This article is part of New Money, a new section on economics, technology, and business. At the same time, regulators and banks have made a lot of changes since 2008 to prevent another crisis. European officials say that thanks to these reforms, Deutsche Bank — and other major European banks — is in a better position to weather future financial problems. But those precautions have never been fully put to the test, and for years critics have worried that they may be insufficient. If Europe experiences an economic downturn, it could threaten the financial health of the continent’s banks — with Deutsche Bank one of the most at risk. And strict new anti-bailout rules passed as part of a backlash could hamper German leaders’ ability to respond effectively to a new crisis. The 2008 financial crisis occurred because banks (as well as insurance companies and some other financial institutions) were making big, risky bets with borrowed money. Bank shareholders didn’t have very much of their own cash on the line, so when their bets went bad, shareholders could get wiped out quickly. And because many banks owed money to each other, the failure of one institution threatened the solvency of others. That created the danger of a domino effect that could cripple the global financial system. In the fall of 2008, US and European regulators stepped in to rescue the banks before this could happen. Since then, regulators have taken a number of steps to prevent this from happening again. One of the most important is to require bank shareholders to put more of their own money on the line. That way, if a bank’s bets don’t pay off, the costs will be eaten by shareholders rather than the bank’s creditors or (ultimately) the government. European and American regulators have performed a series of “stress tests” to try to predict how banks will fare in the event of another economic downturn. If banks fail these tests, they’re required to beef up their reserves. Deutsche Bank has been one of the worst performers in these tests, and last year it was forced to suspend dividend payouts to shareholders to allow it to build up its cash reserves. At the same time, regulators have punished banks for their role in the 2008 crisis. The Obama administration has sought a series of stiff fines against banks that allegedly sold bundles of low-quality mortgages without fully informing customers of the associated risk. 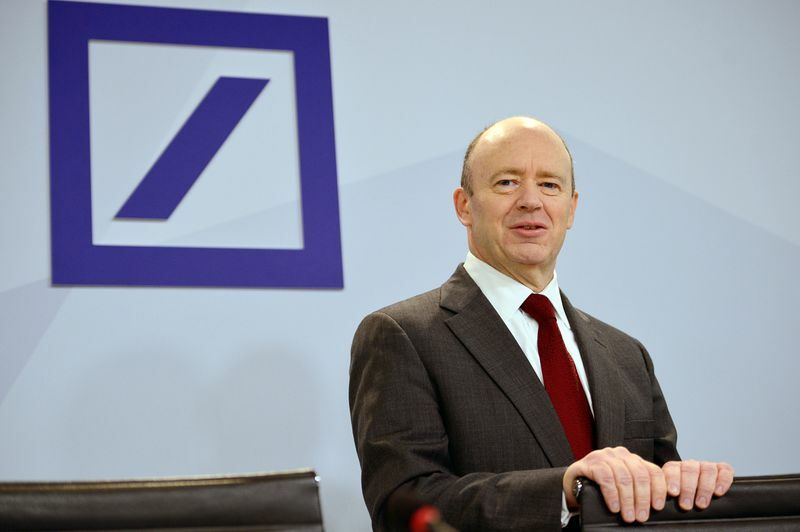 Deutsche Bank faces one of the biggest fines — $14 billion. But the bank is widely expected to negotiate a settlement that will require it to pay a fraction of that amount — as little as $5.4 billion, according to one report. To a large extent, these two regulatory efforts work at cross purposes. On the one hand, regulators are pushing banks to build up a bigger financial cushion to help them weather future economic downturns. But levying multibillion-dollar fines erodes that cushion, making banks more likely to become insolvent if they hit an economic rough patch. It’s inevitable that a big, struggling bank will invite comparisons to 2008. And there are some obvious parallels. But the two situations also differ in some important ways. In a financial crisis, it’s important for banks to have liquidity — cash or assets like government bonds that they can easily sell to raise cash. The Wall Street Journal’s James Mackintosh notes that Deutsche Bank’s liquid assets are about 12 percent of its total assets. For comparison, Lehman’s liquidity was just 7.5 percent of total assets a month before it collapsed. The 2008 crisis occurred because Lehman Brothers, AIG, and other financial institutions had loaded up with “toxic assets” — complex financial instruments assembled using a lot of low-quality mortgages. Deutsche has about €37 billion of assets on its balance sheet that are not easy to price, which has created concerns that it’s in a similar situation. Nobody outside Deutsche Bank knows for sure, which is one reason the bank’s stock price has been battered in recent months. Some traders are assuming the worst. At the same time, these assets represent a small fraction of the bank’s overall €1.8 trillion balance sheet. And the fact that some of these assets could be bad doesn’t mean they are bad. The 2008 financial crisis happened after US officials refused to organize a bailout of Lehman Brothers, starting a chain reaction that brought down other companies that had been heavily exposed to the mortgage market. Ever since then, policymakers in both the US and Europe have been trying to change the rules to make another bailout unlikely. In an acute crisis, Deutsche Bank and others could count on getting short-term loans from the European Central Bank. But if a bank winds up insolvent, European rules prohibit national governments from providing a no-strings-attached bailout. Instead, the rules require governments to first “bail in” a failing bank’s creditors — forcing them to accept that they’ll be repaid less than 100 cents on the euro. This approach seems reasonable in principle, but it can lead to practical problems. In Italy, for example, banks’ creditors are not always large, sophisticated financial institutions. According to Bloomberg, 45 percent of Italian bank debt is held by ordinary Italians. That means complying with the EU rules could mean some Italians lose a big chunk of their life savings. Italian Prime Minister Matteo Renzi got a taste of the potential backlash back in December, when the Italian government rescued four banks in accordance with EU rules. Creditors took losses in the process, and one of them was an Italian man who lost $110,000 he had invested in bonds issued by one of the failing banks. The man killed himself, leaving a suicide note criticizing his bank. Earlier this year, Renzi was lobbying other European leaders for permission to inject taxpayer money into Italian banks to prevent a repeat of this fiasco. 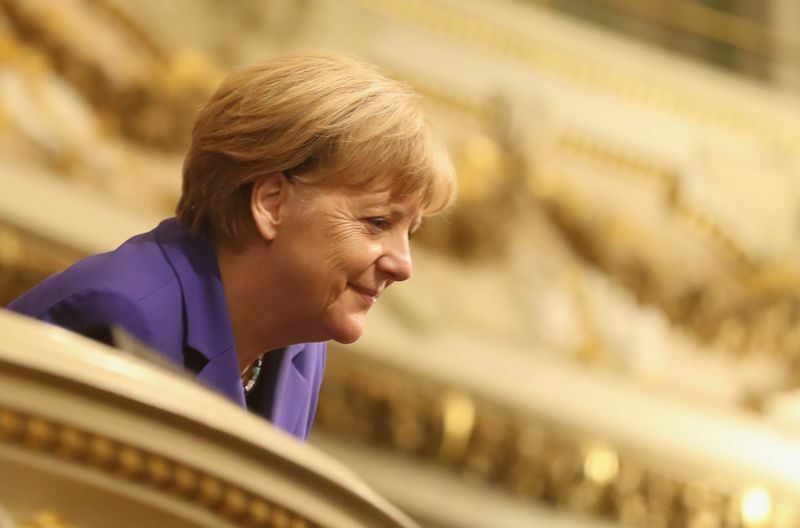 But German Chancellor Angela Merkel said no, insisting on strict adherence to the eurozone’s no-bailout rules. And she’s been consistent at home, with a German magazine reporting that Merkel has privately vowednot to use German taxpayer money to rescue Deutsche Bank. That position is good politics, as bank bailouts are unpopular among German voters. But if Deutsche Bank were to actually fail, Merkel’s resolve would be tested. The losses from a Deutsche Bank failure could be felt widely across the German economy. And there’s always a risk that the failure of one big German bank could be the first domino that leads to a larger financial crisis. Lloyd Blankfein had his Abacus. Jamie Dimon had his Whale. Now John Stumpf, the Mr. Clean of American banking, is getting a scandal of his own. In a remarkable turnabout for Stumpf, Wells Fargo & Co., the bank he’s run to the envy of peers and the delight of top shareholder Warren Buffett, has been swept up in one of the industry’s most embarrassing episodes since the financial crisis. Last week, the San Francisco-based lender agreed to pay $185 million to settle allegations that it opened 2 million credit-card and other accounts for customers without their knowledge. While the penalty is a pittance for Wells Fargo, the brouhaha has left Stumpf, 62, struggling to contain the damage to the bank’s reputation and his own legacy. The pressure isn’t about to let up: Stumpf is set to testify next week in Washington, handing lawmakers an opportunity to swing at Wells Fargo during a campaign season in which Wall Street has taken hits from the presidential nominees of both major parties. He might ask Blankfein and Dimon for advice when he appears before the Senate Banking Committee on Sept. 20. Six years ago, senators peppered Blankfein after the U.S. Securities and Exchange Commission sued his Goldman Sachs Group Inc. over the sale of the Abacus collateralized debt obligation. While Blankfein repeatedly said the firm had done nothing wrong, it paid a $550 million fine to settle with the SEC. In 2012, Dimon testified before a Senate committee about the “poorly conceived and vetted” bets made by his traders at JPMorgan Chase & Co. that resulted in more than $6.2 billion in losses. The firm paid more than $900 million in regulatory sanctions because of the so-called London Whale debacle, and Dimon’s pay for that year was cut in half. Wells Fargo today is the biggest U.S. home lender and a marquee investment for billionaire Buffett, whose Berkshire Hathaway Inc. owns 10 percent of the bank. Stumpf eschewed the toxic dangers that lurked within Wall Street trading desks and instead pursued a strategy concentrated around Main Street mortgages and checking accounts. He’s the driver of the Wells Fargo stagecoach -- what the company calls an "enduring symbol" that shows its "heritage of service, stability and innovation." All the while, Stumpf has been hailed by other banking executives. The CEO of Germany’s embattled Deutsche Bank AG, John Cryan, once said he wished he instead could have "a relatively easy life" at the helm of Wells Fargo, making a good return on retail banking. Even Dimon couldn’t match Stumpf’s total return and pointed earlier this year to Wells Fargo as a competitor he must most keep an eye on. "He’s like Americana in the form of a large bank CEO," Mike Mayo, a bank analyst at CLSA Ltd., said of Stumpf in an interview Tuesday. "He’s the preeminent retail banker." Wells Fargo’s strategy included a heavy emphasis on cross-selling products -- a consumer opening a checking account was pushed to take a credit card, for example. But it was that technique that landed the bank in trouble, according to the U.S. Consumer Financial Protection Bureau, which investigated the wrongdoing along with the Office of the Comptroller of the Currency. Employees “secretly opened unauthorized accounts to hit sales targets and receive bonuses,” CFPB Director Richard Cordray said in a statement. Wells Fargo, which said it fired 5,300 employees over five years for the practices, also plans to eliminate product sales goals and instructed U.S. call center workers to temporarily halt cross-selling of financial products. Borrowing a page from Dimon and Blankfein, the bank mostly blamed rogue or lower-level employees for the misconduct. Chief Financial Officer John Shrewsberry said most of the workers involved weren’t seeking to generate revenue. “It was really more at the lower end of the performance scale, where people apparently were making bad choices to hang on to their job,” he said at an investor conference Tuesday in New York. But the OCC, in its consent order, said Wells Fargo’s community bank group -- led by Carrie Tolstedt, who reported directly to Stumpf -- "failed to adequately oversee sales practices and failed to adequately test and monitor branch employee sales practices." Tolstedt oversaw the unit until July. Wells Fargo has taken unrelenting fire ever since the regulators announced the settlement Thursday. First, U.S. Representative Maxine Waters, the top-ranking Democrat on the House Financial Services Committee, said she called Stumpf to talk about "his willingness to take full responsibility." Then, Democratic presidential nominee Hillary Clinton weighed in, using the scandal to praise the work of the CFPB, the consumer watchdog created by the 2010 Dodd-Frank Act, the regulatory overhaul intended to prevent another financial crisis. By Monday night, Stumpf was being asked to testify in Washington after five U.S. senators including Elizabeth Warren and Sherrod Brown wrote to Senate Banking Committee Chairman Richard Shelby calling for an investigation. Lawmakers are likely to focus on "establishing a narrative that Wells Fargo is either too big to manage, or its management was willfully complicit in the fraud,” Isaac Boltansky, an analyst at Compass Point Research & Trading LLC, wrote Tuesday in a note to clients. They’re also likely to want to make an issue of clawing back pay from executives who were responsible and may seek to request testimony from Tolstedt, Boltansky said. The investigation has already cost Wells Fargo its title as the world’s most valuable bank. Its stock fell 3.3 percent Tuesday, reducing its market value to $236.9 billion, compared with $240.3 billion for New York-based JPMorgan. So now the banks want to charge us to deposit our money with them? It was bad enough to read about their outlandish profits of $96 million a day and laying off close to 5,000 people. The front-page headlines are dominated by the Syrian crisis but it appears to me the banks will be the downfall of our society. Can the politicians and banks not figure out that when people have money, they spend it and it generates the economy? As another example of banks’ ignorance and greed for profits is giving first-time home buyers way too much mortgage money. My friend’s daughter and her husband were told they could have an $850,000 mortgage. That very night I saw an article in the Star Business section stating that for an $850,000 mortgage, you would need to earn $175,000 a year. They are at least $50,000 below that amount. So why are banks putting young first-time home buyers into this precarious situation? Back in the 1960s, young people hit the streets in massive numbers to change society. It’s time we all started to think that way again because it’s obvious our banks and politicians only care about themselves. And if our society collapses, it seems they are taken care of. I would also encourage readers to study the history of the 1930s, because we are repeating it with alarming speed. The possibility that Bank of Canada governor Stephen Poloz would seriously consider negative interest rates is an extreme example of interfering with the rights of people to save or spend their money as they see fit. Where is the fairness for those Canadians who have diligently saved for their retirement and potentially be penalized because they are not spending their money to stimulate the economy? It strikes me as a desperate measure that does not belong in a democracy that respects the rights of its citizens. Please Mr. Poloz don’t do it. Well isn’t this simply perfect. The geniuses at the Bank of Canada are going to solve all of our financial problems. Mr. Poloz is going to create money out of thin air but only to pay for bonds issued by corporations so the bankers (who own most of the corporations) will still get their cut by creating money out of thin air and loaning it to governments in Canada. I guess it never occurred to Mr. Poloz to eliminate the bankers from the loop altogether and create the money ourselves, which the Bank of Canada has the mandate to do and indeed is planning to do as outlined here. And as if that wasn’t enough, he is going to introduce negative interest rates, which he claims would only affect commercial interests who deposit money with them but not people who deposit their savings in commercial banks. This is a lie. This is exactly where it would go. So now the banksters would get two shots at us: The interest on the bonds we would purchase from companies (which I repeat are for the most part owned by the banksters) and the interest we would pay to them on our savings in the banks. Mr. Poloz, do you understand the concept of treason? Reader Greg Sheehan complains that a low dollar is harming not helping Canadians but in the very next paragraph goes on to tell Bank of Canada governor Stephen Poloz to abandon his low-dollar strategy in order to compete in a global economy. And therein lies the problem. We cannot compete in a global economy until the rest of the globe catches up in paying livable wages, proper labour regulations and workplace safety. Until that time, the low dollar is what is going to be Canada’s best advantage in a global economy.